Stone lanterns in front of Kozugu Shrine near the theater district of Dotonbori, Osaka. Together with Ikutama Shrine, it was known for its beautiful scenery. 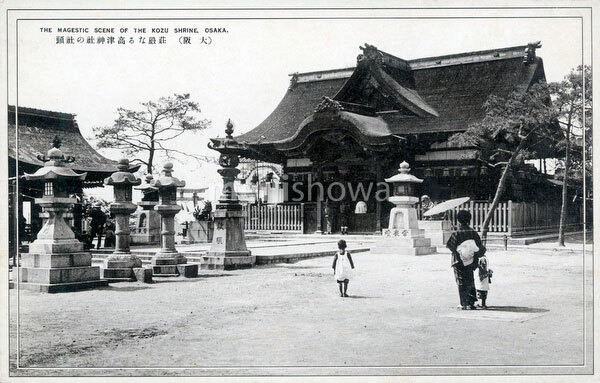 The shrine was founded in 866. The shrine’s summer festival was the inspiration for a popular play called “Natsu Matsuri Naniwa Kagami,” staged for the first time in 1745.